Five women meet in a hospital ward in West London, haphazardly selected by the lottery of the National Health Service. Five strangers from widely differing backgrounds, forced by cramped conditions into passing intimacy that will nevertheless spark off rivalries as well as set the foundations of enduring friendship. 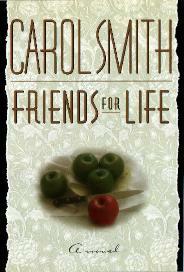 Beth, the career cook – popular, successful, at ease with herself and very much her own woman; Vivienne, the jaded socialite, disillusioned with the tawdriness of her glitz life and fearful for her marriage; sad Catherine with the domineering mother, frightened of the present and forever seeking refuge in a past that never really was; free-wheeling Sally, the wild colonial, with a spirit as unfettered as her morals; and Georgy, the New Yorker, a stranger newly arrived in town in the singular pursuit of love. Five women thrown randomly together, apparent strangers yet – unknown to any of them – with lives that have already touched. And as they chatter and bond and find out more about each other, echoes of the hidden past slowly emerge – echoes that start off seeming like coincidence yet grow more threatening as unseen patterns begin to link up. Five women, together against their will, slowly learning the true meaning of sisterhood – acceptance and tolerance, even love – while something deadly stalks them from the heart of their inner circle. Five apples in a barrel…but one of them is bad. Blending slow-fuse tension with rare emotional complexity, Darkening Echoes is a fiendishly constructed novel that intrigues as it delights, building with compelling precision to a moving and nail-biting conclusion. 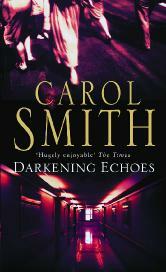 Darkening Echoes is published as Friends for Life in the USA.